The U.S. Public Research Interest Group (PIRG) is a federation of state Public Interest Research Groups (PIRGs) that annually publishes a report rating all 50 US states on providing online access to government spending data. This report is widely used as the best assessment available on state financial transparency. 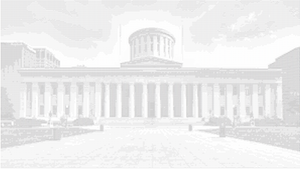 In 2013, PIRG ranked Ohio 46th in the nation for government financial data transparency. 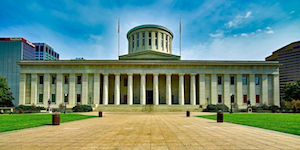 Ohio’s Treasurer Josh Mandel took Ohio’s poor ranking as a challenge and set forth to make a change. To accomplish this, Treasurer Mandel built OhioCheckbook.com which for the first time in state history put every dollar spent online in a searchable database. - Join Sean Roberts from ODI and CPC at the Bay Area CLEO meeting. Talks include local elected officials for discussions on Financial Management, Government Transparency and Learning the Game. Chuck Reed With Keynote Speaker and Special Guest Steve Greenhut. - On November 29th, Lincoln hosted a webinar with the Open Data Initiative Project Leader Sean Roberts. 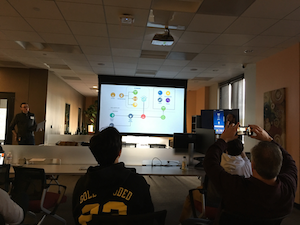 All about the Open Data Initiative, why it matters, and how you can get involved. Viewers had the chance to ask questions during Q&A. Tomorrow, we will join the Data Coalition and Grant Thornton for the California Data Demo Day , in partnership with Xcential, and EFF , on Thursday, October 19th in Sacramento, CA. - Data Transparency 2017 was the fifth annual flagship open data policy conference. The all-day event, presented by Workiva, took place on September 26, 2017, in Washington, DC. - Join Sean Roberts from ODI and CPC at the Orange County CLEO meeting.